The long held belief that Earth's water originated from comets is being challenged by new data collected by the European Space Agency's Rosetta spacecraft. Rosetta, which successfully rendezvoused with Comet 67P in August after a decade-long journey, observed the icy comet in an attempt to better understand how the solar system formed. Water on the comet was measured, and new results published in the journal Science reveal the composition is much different than what's found here on Earth. Chemical analysis on Comet 67P reveals the space water contains roughly three times more deuterium as hydrogen in water molecules on Earth. The leading hypotheses is that when Earth was formed 4.6 billion years ago, it was so hot that any surface water would have boiled off, yet water still covers two-thirds of Earth today. This lead scientists to believe water was essentially delivered here during collisions with comets. However, the new data suggests the water vapor found on Comet 67P is "significantly different to that found on Earth." One theory is that the proportion of deuterium may have changed with distance from the Sun; it's possible as these comets came closer to Earth, the water composition may have changed to what it is now. Rosetta scientist Kathrin Altwegg believes the information eliminates the theory that comets were the source of water. "We knew that Rosetta's in situ analysis of this comet was always going to throw up surprises for the bigger picture of Solar System science, and this outstanding observation certainly adds fuel to the debate about the origin of Earth's water," said Matt Taylor, Rosetta's project scientist. 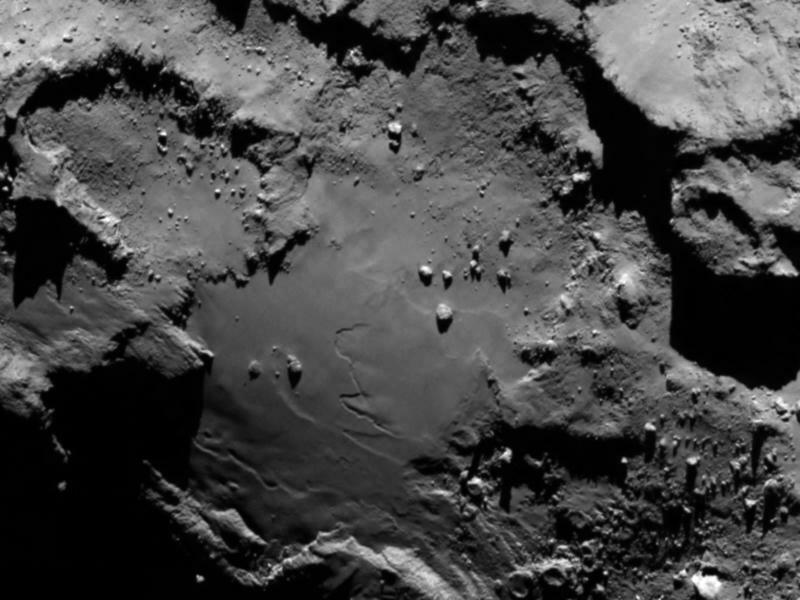 Rosetta will continue to track Comet 67P on its orbit around the Sun throughout 2015. "We'll be keeping a close watch on how it evolves and behaves, which will give us a unique insight into the mysterious world of comets and their contribution to our understanding of the evolution of the Solar System," Taylor said.